This course will introduce you to complex modeling techniques. You will use advanced sketch-based and surface-based features to design parts and learn how to improve productivity by reusing existing features. You will also see how to design a product architecture and manage complex assembly structures, using advanced features to design parts within an assembly environment. Finally, you will learn how to analyze interferences and then create an assembly layout using advanced tools to dress-up and annotate the final drawing. the Gateway to the 3DEXPERIENCE platform course and in addition, they should be familiar with the Mechanical Design Fundamentals. 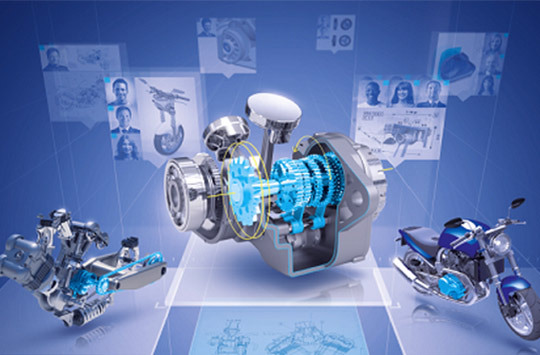 The CATIA 3DEXPERIENCE Mechanical Design Expert e-book will be supplied at the beginning of class and is yours to keep. Upon Completion of this course attendees will be able to model and manage more complex models and create more complex assemblies.